Aroma: flowery citrus burn, soft but speaks of quality and heft. Visuals: A very nice package — inviting but not overwhelming, hop bomb motif is especially enticing, murky after adding sediment, but brilliantly clear at first pour. Deep, dark orange with staying white head and sticky lace. Hard to see through. Taste: A screaming fit of sugar malt and piercing hop bitterness. It literally hurts the back of my mouth and tongue. It is amazing. The burn goes on for nearly a minute. A sensory experience like no other. The citrus, pepper, and it must be capsaicin, I can’t believe that any other additive would burn like this. It is used to a special and wondrous effect. Bravo. Palate: Piercing, biting, and hoppy. Burning, sweet, and bitter. Coating and delicious. Overall: It is a stand alone in imperial IPAs. None other have exactly the ssame effect. In a long line of collectible duplicates, this DIPA stands alone. Very, very well done, and memorable. Aroma: very nice, cherry, chocolate, wine, sediment, moss. 9 out of 10. Visuals: Gusher (like all Brasserie Des Rocs). nice label design and packaging, brown, murky, chunky with sediment, thin brown head, sticky lace. 5 out of 5. Taste: unbalanced, pure malt, syrupy, no hops, low strength, medium craft. 8 out of 10. Palate: medium quality, smooth texture, short fruity finish. 4 out of 5. Overall: Very much like iced tea. Alcohol is almost unnoticable, not a repeat, not a favorite, low value, medium craft. 16 out of 20. Price per fl oz $2.95 / 16.9 fl oz = $.17 per fl oz. Malty – heavy, dark bread, burned cookie, straw, burnt, nutty, molasses, dark chocolate, mild coffee. Yeasty – heavy, dough, leather, soap, mold, broth. Miscellaneous – banana, prune, apple, cherry, red wine, tar, butterscotch, maple syrup, clove, alcohol, sulfur. 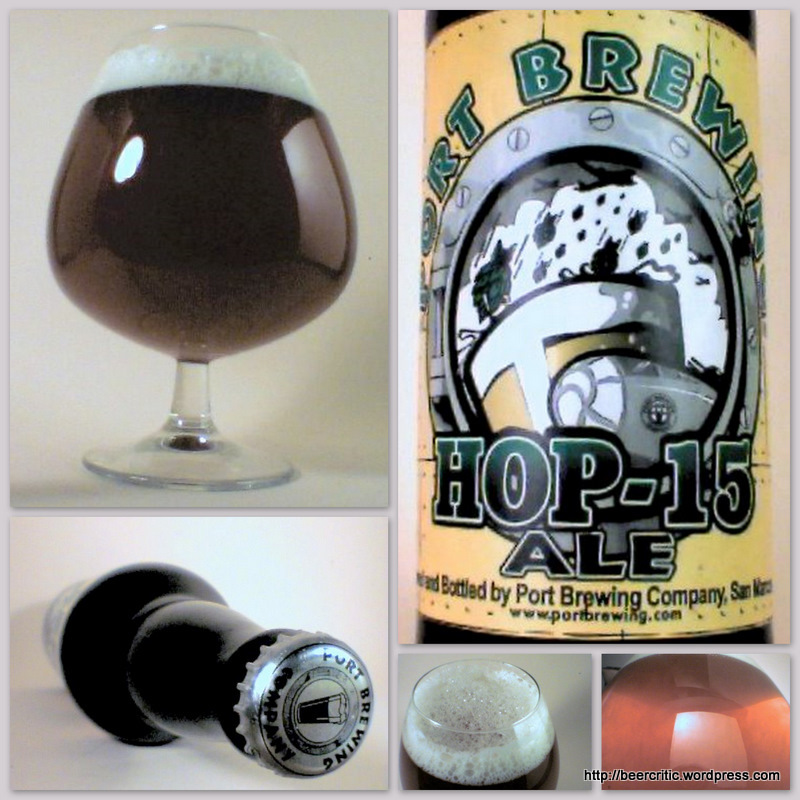 Body – Clarity is minimal, with normal carbonation. A murky, muddy, milky brown. Medium body, with average density. Bottle conditioned. Hue is brown with deep orange highlights. Initial flavor is moderately sweet, somewhat acidic, lightly bitter and slightly acetic. Finish – long finishing flavor is lightly sweet heavily acidic, moderately bitter, and quite sour. Texture is very Dry and somewhat creamy. Comments: A very nice ale, overall, and an amazing array of flavors. Much different from all of the American beers I’ve been enjoying. The subtlety of flavor compounds, texture, and aroma are exquisite. A fine ale, but not necessarily the first thing I’d go for, though for someone who appreciates complex and fruity flavors, it’s an amazingly complex and inviting drink.